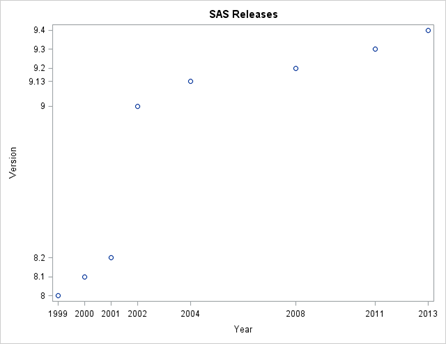 SAS 9.3 was released at July 2011 when I former company just successfully launched an upgrading to SAS 9.2. 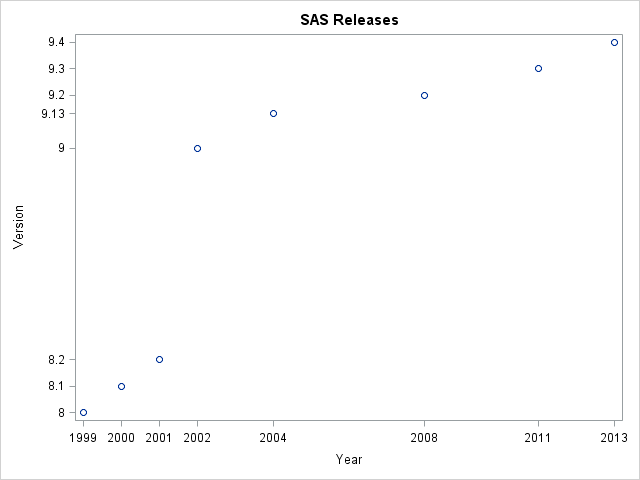 SAS 9.2 came to life at March 2008 (it’s a big leap) and at that time I played with SAS 9.1.3 heavily. Yesterday(10Jul2013) was the official release day for SAS 9.4 while I just got my SAS 9.3 installed at this March! No troublesome JBoss, WebSphere, or WebLogic required anymore as web application server! It is said that “SAS 9.4 includes an embedded middle-tier server called SAS Web Application Server”(which is based on Tomcat) and it will definitely simplify the SAS deployment process(good or bad news for me as a SAS consultant?). It’s nice to have another option as a SAS user.